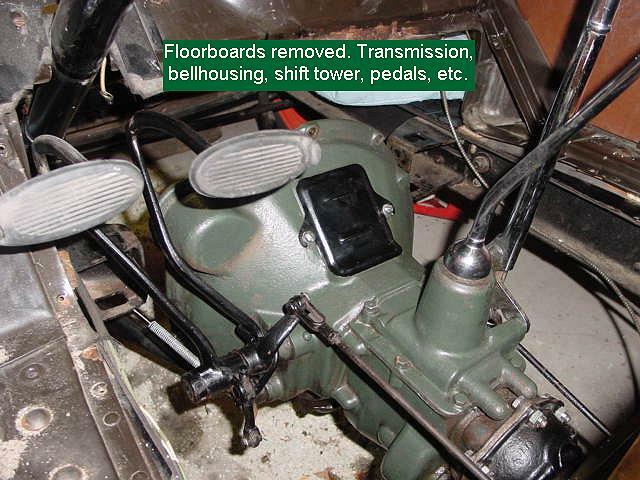 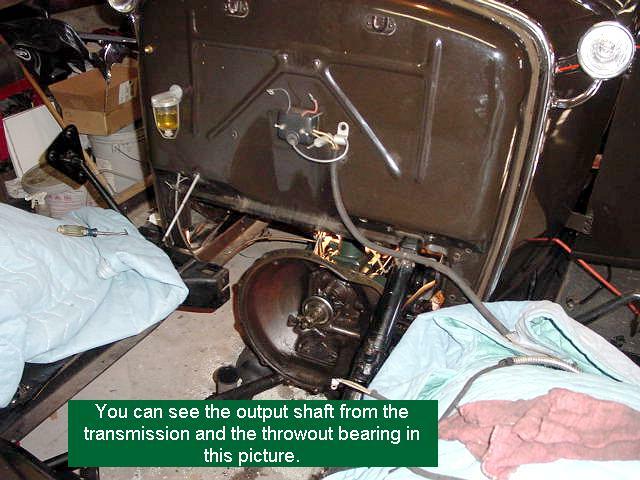 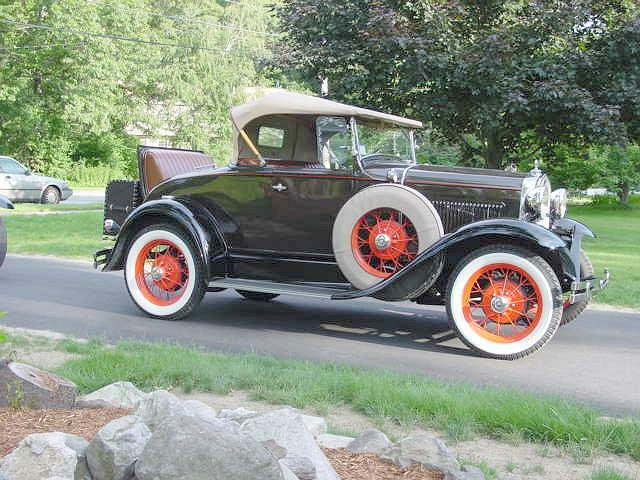 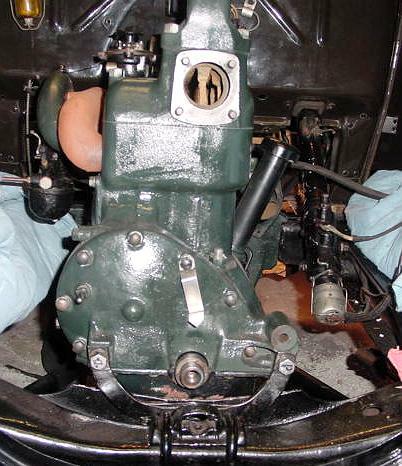 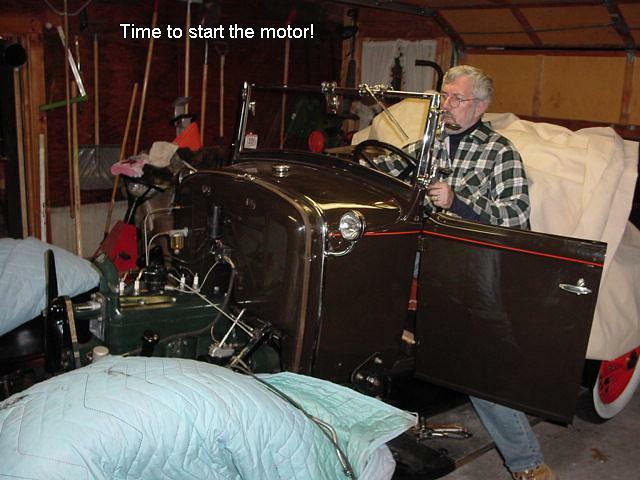 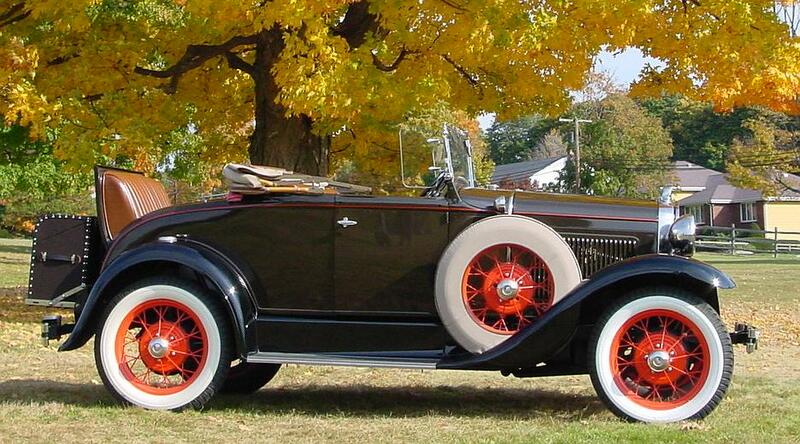 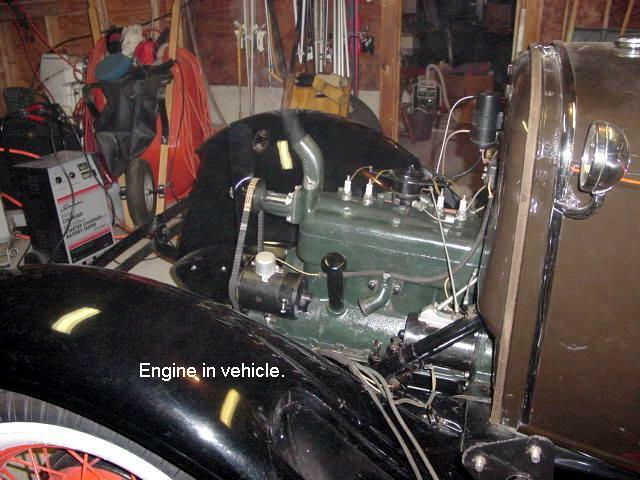 On a nice Saturday (February 23, 2002) we decided to install the newly rebuilt engine in Ed's 1930 Model A Roadster. 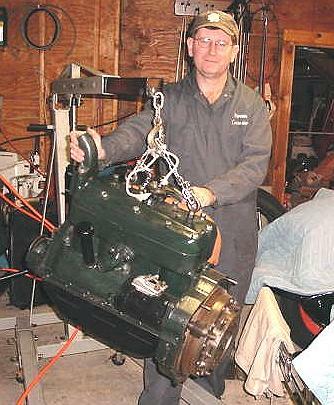 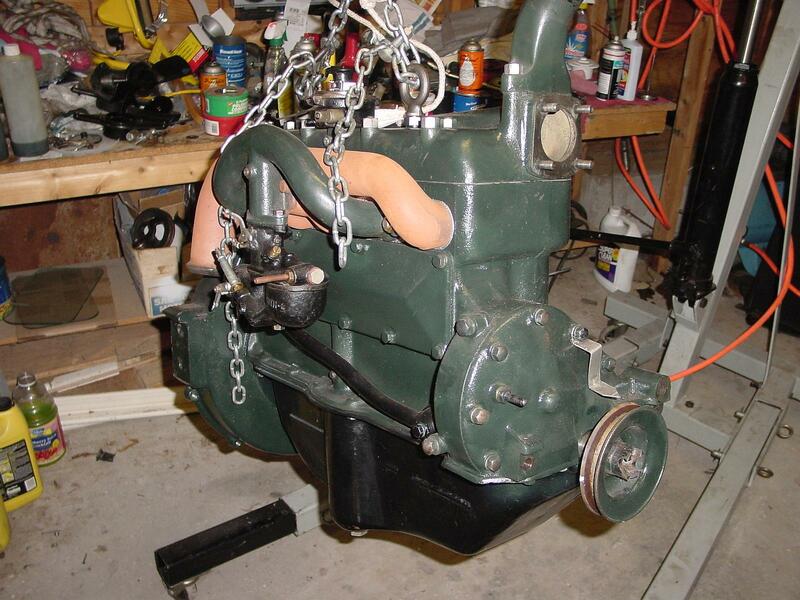 We started the project at 10:30 AM in the morning and we finished up with the motor installed and running by 6 PM. 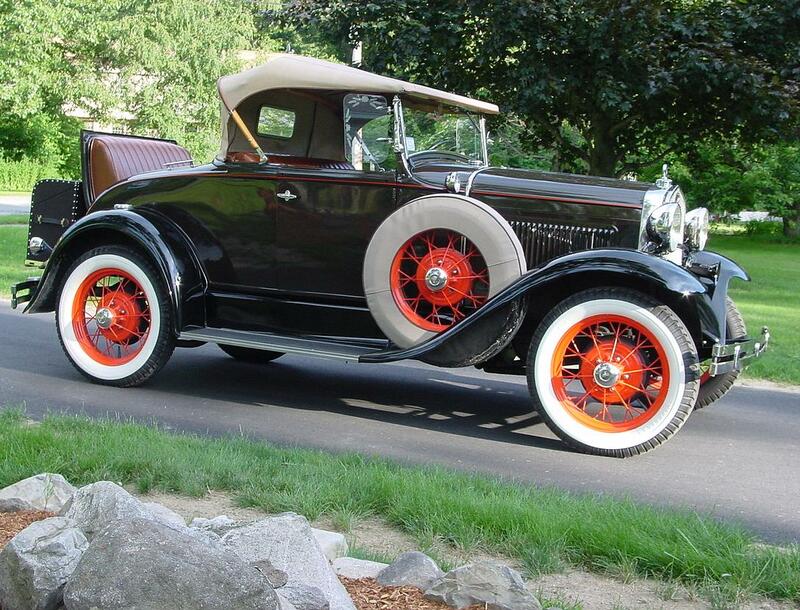 We took a break for lunch at noontime. 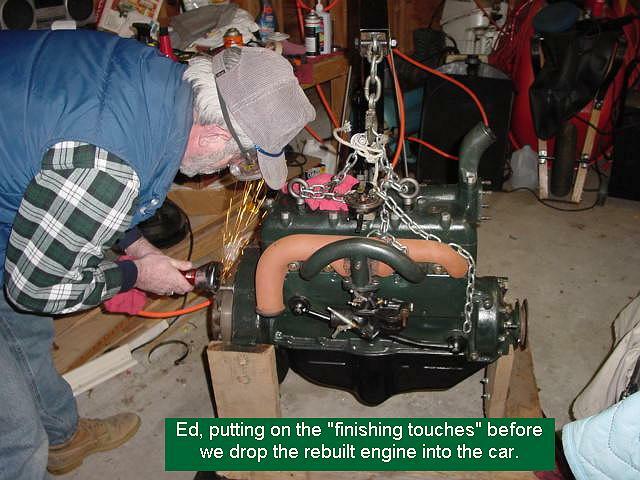 This was the first time that either of us had ever installed an engine in a Model A Ford (we took the engine out of the car in November 2001) and we ran into a few problems that took some time to think about and, ultimately, solve.